 Adulatech GmbH was founded in 2007 and has established itself on the national and on the international market as a specialist for industrial supplies, welding supplies, machine parts, wear parts, spare parts and labor safety. Since then, we invest continuously and on a healthy basis in our infrastructure as in the laboratory, production equipment and logistics. The name comes from the same Adulatech Swiss mountain ADULA as a sign of quality, reliability and durability of our products. Our customer base includes many Swiss companies as well as major international companies and many SMEs. - Consumers, large companies and SMEs in the metal, steel, construction and engineering industry that can benefit from our broad know-how. How common commercial products and offer their own products for daily use and but also help to solve technical problems suburb - even with new custom developments. - Companies worldwide that manufacture production equipment such as welding machines, vending machines, etc., and for which we develop and produce simple or complex components. We see ourselves as an OEM manufacturer. wear parts, spare parts and labor safety.